LATEST UPDATE 23 April — In response to feedback, CPS Energy will grandfather existing rooftop solar power customers permanently, rather than for ten years. Those who complete the paperwork by May 31 will be included in that group. Additionally, a solar system will remain grandfathered under the current system even if the house is sold. 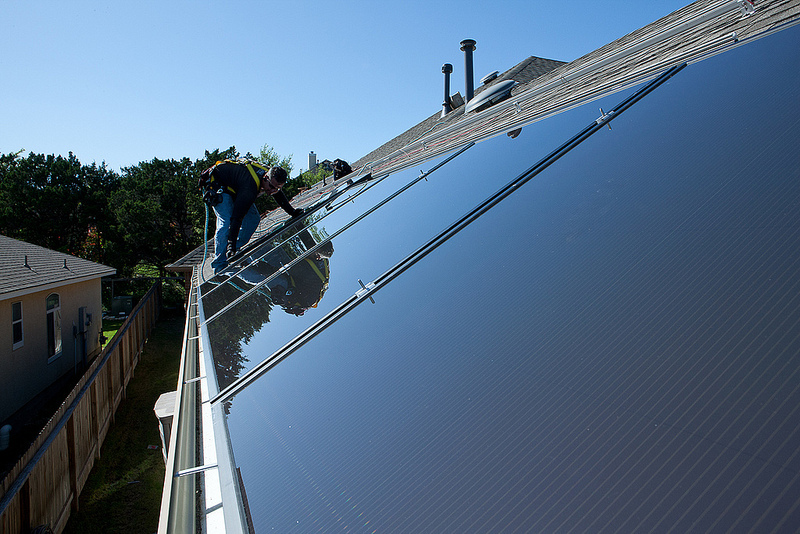 UPDATED 18 April — CPS Energy is extending the deadline for grandfathering new rooftop solar systems into the current net-metering program until May 31. If the paperwork is completed by May 31, the system will operate under the net-metering program for 10 years. CPS Energy’s recent proposal to reduce payments for solar energy produced by rooftop systems to better take into account ongoing infrastructure costs is causing consternation in the local solar industry. CPS Energy wants to hear the concerns of local installers, and is open to altering the proposal in response. A public hearing is scheduled for May 3, 4 -7 p.m. at Villita Assembly Building, and comments will be taken through May. 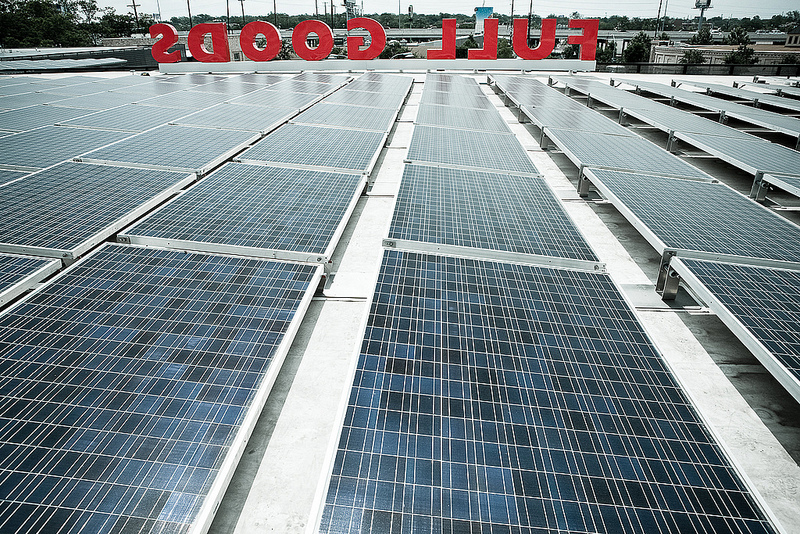 What is not an option, however, is continuing the way CPS Energy pays for rooftop solar today. That’s because the current system, which includes a generous rebate up front plus a credit for the full retail value of each kilowatt hour, is not sustainable in the long term, and shifts the burden to customers who don’t have solar systems. 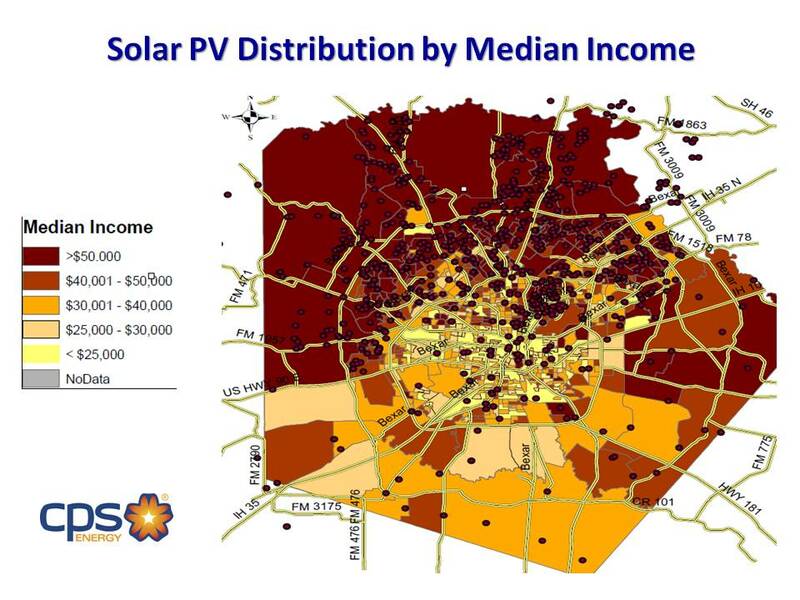 Solar systems in San Antonio have largely been installed by higher-income customers, leaving transmission and other costs to be borne by lower-income residents. Critics argue that the reduced credit doesn’t adequately capture the benefits solar, such as reduced wear and tear on equipment and avoided transmission and other costs. CPS Energy is not alone as it grapples with this issue. Utilities in California, Arizona, Iowa, Oklahoma and other states are also examining their current policies as the amount of distributed solar power in their service territories increases. Roberts had just completed two posts on the issue, one on the difficulties utilities are having integrating distributed, or rooftop, solar into their business model, the other on how to expand distributed solar and save utilities at the same time, when he learned of CPS Energy’s proposal. The more than two dozen comments on his subsequent post about “the San Antonio episode” show the complexity and broad range of views on the subject. For more than a century, energy companies followed a remarkably static business model. Today, they’re faced with the demand to create a 21st century, Internet-enabled grid, ramp up energy efficiency programs, and figure out how to integrate renewable energy – both into the grid and into business models. Today, the solar industry relies on subsidies: tax credits from the federal government rebates from utilities and often, as in the case of CPS Energy, “net-metering” programs that pay retail rates. Those subsidies were never meant to be permanent, and as prices for solar installations fall, and the number of installations increase, utilities across the country are re-examining how they support solar. The rooftop solar array on top of the Full Goods building at the Pearl. In California, that state’s Public Utility Commission is currently examining the costs and benefits of net energy metering as installations there continue to increase. In the San Antonio area, the number of residential and commercial installations is increasing exponentially. There were 394 in 2012, up from just 38 in 2009 — a 937 percent increase. Adjusting the model now, while there are less than one thousand installations, is far less disruptive than changing it later, when tens of thousands of customers could be affected. CPS Energy has budgeted $40 million from its Save for Tomorrow Energy Program, or STEP, for solar rebates. Those rebates are some of the most generous in the nation, and cut the upfront price of a solar system almost in half. To date, CPS Energy has paid almost $20 million. As CPS Energy takes input on the proposed SunCredit, it’s important to keep the utility’s main objective in mind: to slow the construction of power plants and reduce pollutants. That plan is comprehensive, and includes adding combined-cycle natural gas generation, early retirement of CPS Energy’s oldest and dirtiest coal units, utility-scale solar, commercial and residential demand response programs, free weatherization for low-income customers, energy efficiency rebates for customers who can afford to make upgrades, and solar rebates. What CPS Energy has proposed to change is the amount the utility credits solar owners for the power their systems produce. Today, they receive the full retail rate, which is currently 9.9 cents per kilowatt hour – an amount that fluctuates monthly but averages 9 cents. That monthly charge includes fixed costs for transmission and distribution infrastructure as well as the cost of electrons. When solar customers stop paying those fixed costs, the burden is transferred to fewer and fewer non-solar customers. To make sure the cost structure is fair to all ratepayers, CPS Energy calculated a market rate for the solar energy generated by customers based on the average wholesale price of power during the hours solar produces the most. To make sure that number was as generous as possible, while still being tied to the market, CPS Energy analysts assumed that customers’ solar systems are always perfectly situated to generate the maximum amount of power in a given time. The additional value of a number of other factors was then added, including the savings from reducing peak load, environmental savings (in the form of renewable energy credits and a NOx allowance), as well as line loss avoidance. This year, that figure adds up to 5.6 cents per kwh. CPS Energy will adjust that amount annually, based on wholesale market prices – and the forward curve model currently anticipates that amount will increase annually. This graph shows the forward curve model for energy costs, which are estimated to rise over the next 20-years. 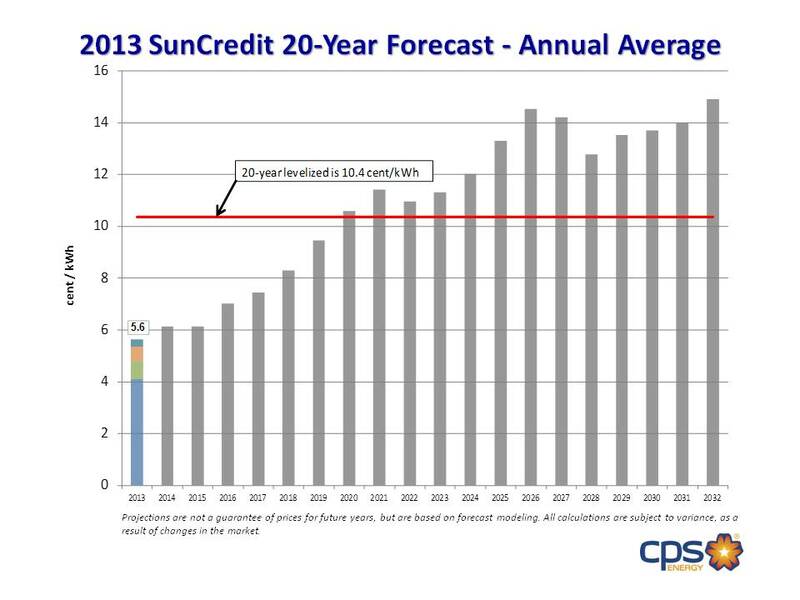 If they do, CPS Energy’s SunCredit will rise, too. The annual rate will also be the amount paid to the solar customers for any power their systems generate beyond what they use; that rate is currently fixed at 2 cents. The SunCredit does not take into consideration the intangible benefits of solar, because CPS Energy believes those benefits — such as reduced water use — should accrue to all customers, by helping to keep rates among the lowest in Texas and the nation. Because CPS Energy is owned by the city of San Antonio, and not private investors, it does not earn profits. Instead, the rate structure is designed to recover costs. The utility has worked hard to keep those rates low, refining business processes and increasing efficiency in the last several years to the point that it has been able to delay a rate increase for two years. But as costs to maintain infrastructure, upgrade technology, enable a smart grid and add energy efficiency programs continue to increase, CPS Energy must make sure all customers are paying their fair share. SunCredit is one way to do that. SO you are going to tally up all the energy I produce and “credit” my bill. What about the energy I produce and consume on-site? When I am producing and I have items consuming that energy BEFORE it enters the CPS infrastructure you will in effect CHARGE me for that energy. How is that NOT a rate increase??? Why should anyone install a PV System when you are in effect increasing the length of time anyone will see a Return on Investment. The life expectancy of my Inverter is around 15 years the solar panels are 20. If you do this my ROI increases to around 15 years. Where Is The Incentive? Why would anyone do this. You are shooting yourself in the foot if you think this is a smart business tactic. I have two friends that have already stated they will not persue their intent to install solar because of this Sun Credit tactic. The PV systems produce energy during most of your high demand periods and I will now get the privilege of in essence paying you for my ability to produce.